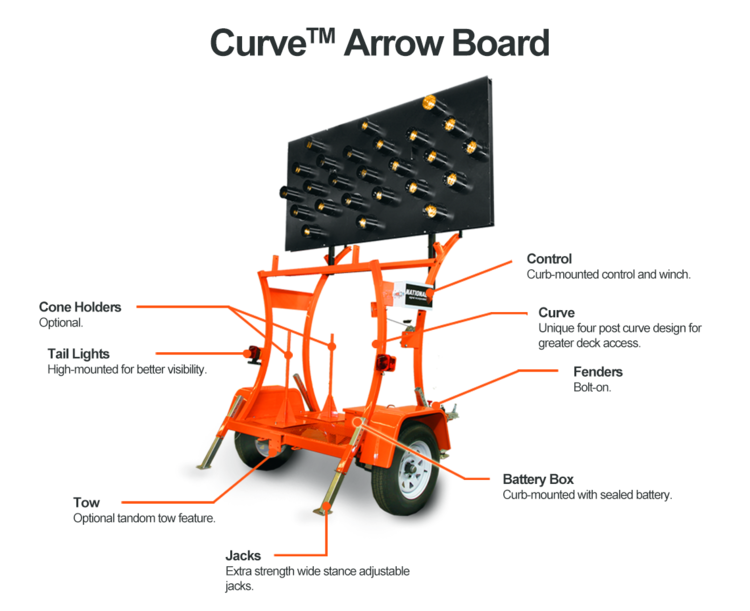 The new National Signal Aro-Lite Curve™ traffic controller represents the latest blend in environment and technology. With it’s innovative curve design, the operator has greater clearance to maneuver around the chassis. This unique curve design provides greater lateral strength to the uprights, decreases the amount of welding which means less energy required for manufacturing, and increases the foot print area. That means less chance for blow overs in high wind areas. Start Your Equipment Order Today!